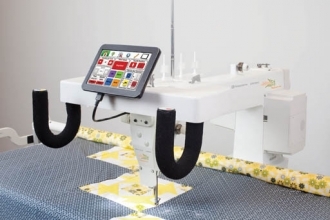 Epic - Top of the line "Smart Machine" that incorporates cloud technology and cutting edge features to engage the sewist in all aspects of sewing, embroidery and quilting. Swedish engineering makes this machine sew Epic. Ruby Royale - Your sewing will be elevated to a royal treatment in every stitch. 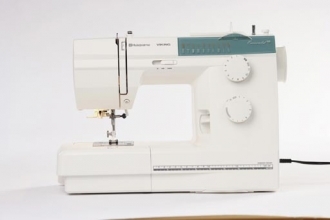 Hclass E 20 - Easy to use sewing machine for beginners. 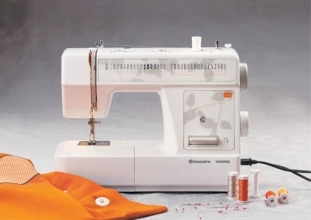 Emerald 118 - A reliable sewing machine with many practical features like needle up/down and speed control. 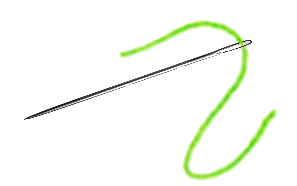 H class 200S - Easy to thread, 2-3-4 thread options and 2 stitch fingers make this an easy choice for most sewers. 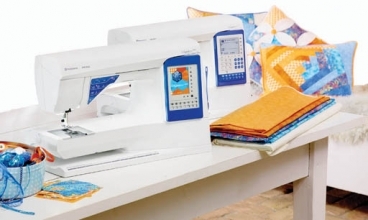 Opal 690Q - a modern computerized sewing machine that will take you from good to Great sewing and quilting. Platinum 16 - A mid arm sit down quilter that lets you create professional results in a compact space. 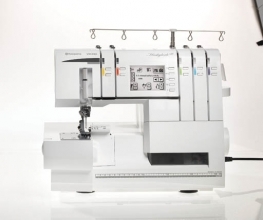 Platinum 3000 longarm - Experience a new dimension in free motion or computer assisted automation stitching. Quilt up to a king size top with ease and perfection. 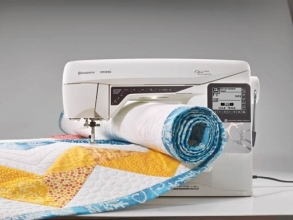 Sapphire 930 and 960Q - Ideal for quilters and serious sewers. 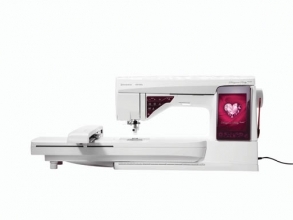 It has a wider sewing bed for extra fabric and the exclusive sensor system. 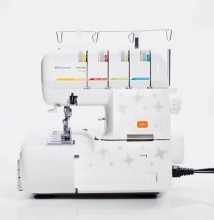 S25 serger - Has built in features that assist you in selecting the correct settings for your fabrics and techniques.